At the bottom of the Garden, originally uploaded by Hexagoneye Photography. 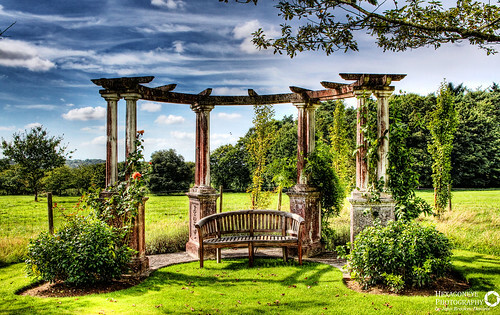 Beautiful Pergola at the bottom of the Garden at Hill Place, Swanmore. The grandparents of the current custodians are buried under the Pagoda as they wanted to be together in their favourite place. Hill Place is a grade II listed[ Georgian country villa located near the village of Swanmore in Hampshire, England. In 2011, Hill Place was the subject of a Channel 4 television documentary presented by hotelier Ruth Watson as part of her Country House Rescue series.